About midnight Paul and Silas were praying and singing hymns to God, and the prisoners were listening to them, and suddenly there was a great earthquake, so that the foundations of the prison were shaken. And immediately all the doors were opened, and everyone's bonds were unfastened (Acts 16:25-26). 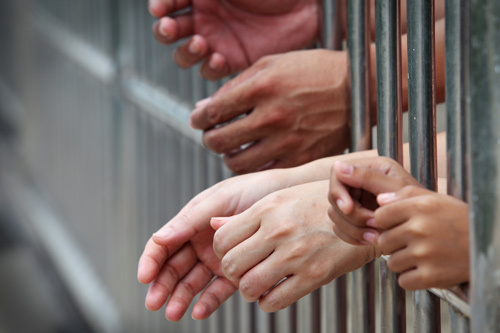 Why is prison ministry important? Lives that had no hope can have hope. The main purpose of Prison Ministry is to share the Gospel of Jesus with others. The Holy Spirit through prayer will prepare and guide you to deliver God's word to all inmates unconditionally. Let the word of Christ dwell in you richly, teaching and admonishing one another in all wisdom, singing psalms and hymns and spiritual songs, with thankfulness in your hearts to God. And whatever you do, in word or deed, do everything in the name of the Lord Jesus, giving thanks to God the Father through him (Colossians 3:16-17). Before beginning a prison ministry, commit yourself to the will of God, become His servant, rely heavily on the Holy Spirit’s guidance through prayer, then respond to His direction by beautifully reflecting His grace, mercy and love. and those who are mistreated, since you also are in the body (Hebrews 13:3). Research the primary reasons for incarceration in your area as well as programs or agencies that may address the root cause. Raise funds for one or more of these resources by holding a fundraiser at your church. Invite a speaker to educate the congregation about specific issues in your community. Proceeds may be given directly to a local resource or they can be used to purchase necessary items such as teaching materials, Bibles, personal hygiene items, etc. Seek out an alternative sentencing or community corrections program in your area. If not fully government-funded, the program may need personal hygiene items, Bibles, or any number of things that your group could collect and deliver. The program may need volunteers to help in the areas of literacy, English as a second language, or GED preparation. Identify families who may need a helping hand, especially if the primary breadwinner is the one who is incarcerated. Ask them what they need most – babysitting, daycare, meals, etc. and then find a way to address some of those needs. Help them find resources to help with daycare, continuing education for themselves, etc. Learn about mentoring programs in your area, particularly those geared toward children with an incarcerated parent. Programs such as Big Brothers Big Sisters will match adults and children with similar interests. They also do regular check-ins with all involved (child, mentor, and parent). imprisoned until the coming faith would be revealed (Galatians 3:23). Pacific Southwest - Giving Hope to Children in Need Using a Planetarium – Teaching disadvantaged youth about Biblical creation. LCMS Prison Ministry – As part of the LCMS Specialized Pastoral Ministry (SPM), the Prison Ministry has Prison Ministry Coordinators in each LCMS district. The ministry also produces resources such as a brochure, a handbook, and a terrific devotion booklet for prisoners titled “Prisoner’s Reflections: Meditations for Prisoners”. NOTE: One of our mission grants for this biennium supports a Prison and Jail Ministry Synod-wide Conference in 2018! So, keep those mites coming!!! Prison Fellowship – Founded in 1976 by Charles (Chuck) Colson, former White House Council, this ministry has a multitude of resources for bringing the Gospel message to prisoners and their families. The Angel Tree project is an outgrowth of this ministry and not only provides Christmas gifts to children of incarcerated parents but also provides resources for ministering to families throughout the year. Community Corrections Programs – According to this Office of Justice (OJP) website: “Community corrections are sanctions imposed on convicted adults or adjudicated juveniles that occur in a residential or community setting outside of jail or prison. The sanctions are enforced by agencies or courts with legal authority over the adult or juvenile offenders.” You may find this website to be somewhat overwhelming in its abundance of information but it’s a great way to educate yourself about programs that might exist in your area. Foundation of Hope – Based in Pittsburgh, Pennsylvania, this organization focuses on the continuum of support through pre-release and aftercare programs. The pre-release program addresses themes such as anger management, life skills, and parenting. The aftercare program matches the inmate with a mentor who provides encouragement and practical advice in addition to attending regular support group meetings. And he said, "Jesus, remember me when you come into your kingdom." "Truly, I say to you, today you will be with me in Paradise" (Luke 23:42-43). Dear God, please help us remember those who are incarcerated, that they are your children. We ask for guidance to find ways to be servants to these brothers and sisters in our community. Father, keep us mindful of the families who suffer when a loved one is removed from them and to find ways to reach out and support them, especially the children involved. We each are sinful in our own ways and deserve eternal punishment. We praise and thank You for your boundless grace and mercy. Please Father; help us to extend that grace and mercy to those who are in prison. In Jesus’ name we pray. Amen. they shall run and not be weary; they shall walk and not faint (Isaiah 40:31). February is the month people share their love with others. Here are a number of ways to show your love and support for the elderly and shut-ins in your community. Take a group of women and visit some of the elderly at a nursing home, veterans home, or shut-ins in their homes. 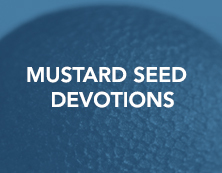 Bring Mustard Seed Devotions such as Comfort from the Psalms , How Lord?, Joyful, Joyful, and Living in Joy. Some can be purchased in large print. 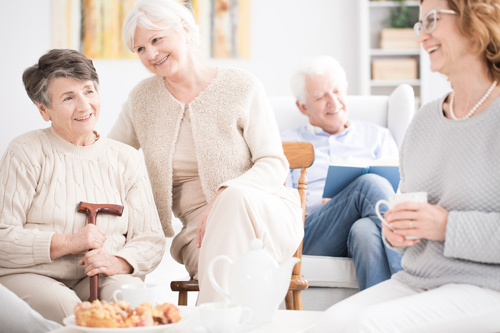 Encourage them to share the Mustard Seeds with other residents and their caregivers. Bring Portals of Prayer that they can share with their neighbors. You can purchase them from CPH or give any leftovers you may have from your church. These are also available in Spanish and large print. Bookmarks or tracts can be given out during Easter, Thanksgiving, and Christmas. Create bookmarks, or make treats with a message attached that you can hand out for holidays such as Valentine’s Day and Veteran’s Day. Encourage the person you visit to share these with other residents. Plan an event at a nursing home such as bringing a youth choir or orchestra from your Lutheran or public school. Have your local LWML plan a tea or other event for the nursing residents. Sing hymns from the Lutheran Service Book. Share a devotion with them. Read a Christian book with them and discuss it. Check out CPH for books such as Joyfully Aging, where readers gain insight on the limitless opportunities to witness their faith to others and live vibrant, grace-filled lives. Pray together. Pray for the church, each other and your families, disasters, worries, etc. Play cards, a board game or put a puzzle together. Bring your pet to share with them but make sure you call ahead to see if the nursing home will allow pets. Give them a massage or a manicure. Eat a meal or snack with them or take them out for ice cream. Make sure you clear this with the staff before doing so. Some may have dietary restrictions. Remember them on holidays and their birthday with treats or a small gift. Visit them after Sunday service to share the church bulletin, newsletter, and that Sunday’s Gospel message. Talk with them about upcoming events at church to keep them informed. Bring old photos that you have taken at church and talk about them. Take them for a walk to the chapel or community room. Make a photo album (84 cents) and label it “God’s Promises”. Decorate covers with printed cardstock. Inside all the pages include Bible verses, the Lord’s Prayer, and the Nicene Creed. Slide pages into the photo album. Make adult clothing protectors and give them as gifts. How to make adult clothing protectors. Other Resources - Please check out the Shut-In and Nursing Home Kit on the Gospel Outreach webpage. Dear Heavenly Father, we thank and praise you for the opportunities you give us to help and encourage those who are aging and are unable to do things that they have always loved to do. We pray for those who are no longer able to live in their homes and are now living in nursing homes or assisted living. Thank you for giving us the opportunity to visit and spend time with the aging and to share your word and love with them. Amen. 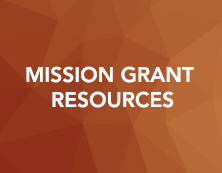 Looking for Mission Service Activities in advance? Here's a year's worth of simple mission service activities, laid out in one document for ease of use. Print and display the calendar of activities, and mark them off as you do them. Rather than “giving up” something for Lent, “take up” something. 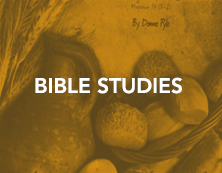 Perhaps you’ve gotten lax when it comes to daily devotions or Bible reading. Now is the time to get back to it! Focus your efforts this month on aiding those with developmental disabilities. Perhaps there is a group home or facility in your area which can provide a list of needed items. Check out the resources available at Bethesda Lutheran Communities. EXTRA CREDIT: Volunteer to lead an activity at a group home such as gardening, artwork, or some other type of craft. 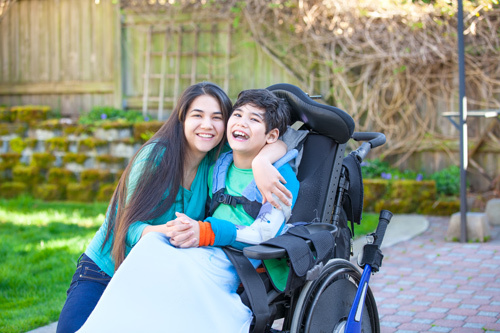 There may be families at church or in your community who care for a developmentally disabled family member at home. Make a special effort to love and support them and, especially, to pray for them. For you formed my inward parts; you knitted me together in my mother's womb. I praise you, for I am fearfully and wonderfully made. Wonderful are your works; my soul knows it very well (Psalm 139:13-14). 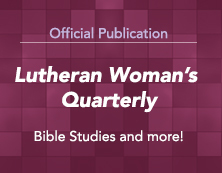 Lutherans for Life – Provides a multitude of resources for educating people about abortion and its alternatives, including a speakers’ bureau and a link to resources available from Concordia Publishing House. LCMS Life Ministry – Provides additional resources and information about life issues. Local crisis pregnancy centers (sometimes referred to as abortion alternative centers) – These agencies can provide speakers for your LWML or congregation. And, they usually have plenty of volunteer opportunities and needs for things such as diapers and other baby items. Pastors and other trained counselors – If you do know someone who is grieving over a loss or who is facing an unplanned pregnancy let your pastor know and ask if he would mind if you referred that person. Or, your pastor should know of other Christian counseling resources. Christian adoption services – Make a point of learning about what options are available and how arduous (and costly) the adoption process might be. Now they were bringing even infants to him that he might touch them. And when the disciples saw it, they rebuked them. But Jesus called them to him, saying, “Let the children come to me, and do not hinder them, for to such belongs the kingdom of God. Truly, I say to you, whoever does not receive the kingdom of God like a child shall not enter it” (Luke 18:15-17). 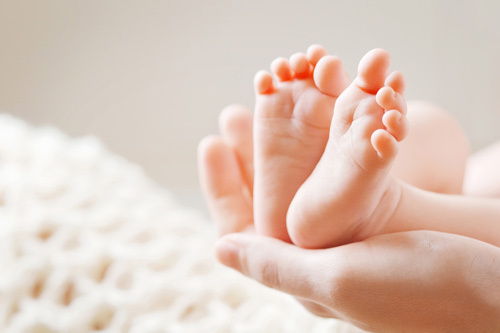 There is no end to the need for diapers and other baby items – this could be an annual or even quarterly activity. 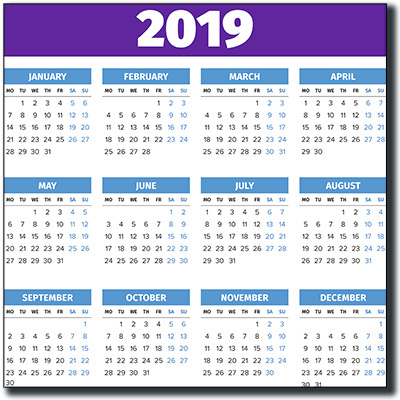 Perhaps partner with other churches to rotate the event throughout the year. An event held in December could be designated as a Baby Shower for Jesus. Holding the event at a facility instead of the church brings you closer to knowing those in need and understanding the challenges they face. Assemble New Mom and New Baby Toolkits to keep on hand when someone you know is expecting. Distribute baby bottles to members with instructions to fill them with cash during the month of January. Proceeds can then be given directly to a local resource or they can be used to purchase items like diapers, etc. Ask them what they need most – babysitting, daycare, meals, etc. and then find a way to satisfy some of those needs. All too often, the young and under-educated parents who choose to keep their unplanned children are unable to achieve their goals for providing for their children. This is heartbreaking for all involved. Foster parents can help ease that heartbreak by providing a loving home for the children. Even if the children are in a loving foster home, the parents may need support and resources to get them to a point where they can once again care for their own children. If you search the internet for “abstinence education” there is an alarming number of results that state it is ineffective and actually worse than teaching about birth control, etc. However, if you search for “PRO abstinence education” you find the success stories! Focus on the Family is one resource available. The LCMS web site has an excellent section on Social Issues with a specific topic on Sexuality. The 2019 LCMS Life Conference will be January 17–19 in Arlington, Virginia, for LCMS members and guests. Whether or not you attend the conference, you are welcome to join fellow Lutherans for a Divine Service on January 18 before going to the National March for Life in Washington, D.C. If you are unable to travel to Washington, DC, encourage members of your congregation to participate in any Right to Life gatherings or marches being held in your area. Contact local crisis pregnancy centers for information. The following quote is a reminder to all of us that, not only is the baby precious in God’s sight but so are its parents. Dear Father in Heaven, how you must grieve when your sinful children take innocent lives. Please Father; help us to stand up for those who can’t speak for themselves. Help us Father, to imagine what it’s like to be pregnant and alone and to have compassion on women who have nowhere to turn. Please also be with those who serve in crisis pregnancy centers. Give these servants of yours the wisdom and the words to speak to those considering abortion. In Jesus’ precious name I pray. Amen. Start off the year in a positive way so you can be a blessing to others. Wake up 15 minutes earlier and spend it alone reading inspirational material and praying. Set a goal to increase by 5 minutes every 3 months. At church, collect canned soup and boxed crackers in a large soup kettle. Then give the “Souper Bowl of Caring” to a local food pantry or soup kitchen. EXTRA CREDIT: Volunteer at the food pantry or soup kitchen! Start a “secret pal” prayer partner program for the ladies in your congregation. Ask ladies to commit to praying daily for their partner and suggest small acts of kindness to do throughout the year. December 2018: Sharing Jesus’ Love in Action – Resolving to Act! Now this I say and testify in the Lord, that you must no longer walk as the Gentiles do, in the futility of their minds. They are darkened in their understanding, alienated from the life of God because of the ignorance that is in them, due to their hardness of heart. They have become callous and have given themselves up to sensuality, greedy to practice every kind of impurity. But that is not the way you learned Christ! - assuming that you have heard about him and were taught in him, as the truth is in Jesus, to put off your old self, which belongs to your former manner of life and is corrupt through deceitful desires, and to be renewed in the spirit of your minds, and to put on the new self, created after the likeness of God in true righteousness and holiness (Ephesians 4:17-24). What a wonderful reminder from Saint Paul that we have been taught to put off our old selves and to be renewed in the spirit of our minds. That’s why we make those New Year’s resolutions isn’t it – to try to put on our new self. Research reveals that New Year’s resolutions go back four thousand years to the ancient Babylonians. But, in modern times, we know what most resolutions amount to – losing weight, stopping smoking or other addictive habits, etc. What if we stopped focusing on the bad habits and worked on developing good habits? Of course, healthy eating is a good habit. But what about increased Bible reading/study, more daily prayer time, and working on memorization of key Bible passages? Likewise, we can vow to increase our time “out of the pew” by serving in our communities and professing our faith to those who don’t know about Jesus. Do we need to wait until January 1 to do this? Of course not! But, we do need to be mindful about the goals we set. Who better to help us with that than the Holy Spirit? Before you make a list of resolutions for 2019, take plenty of time to pray about what God’s will is for you in the coming year. Invite the Holy Spirit to guide you toward what’s most important. While you’re at it, take some time for self-examination to identify any “time wasters” that can be replaced with “faith sharing” activities. Consider the magnitude of Paul’s commitment in the passage below where, in the NIV version, the word “resolved” is used instead of “decided”. That’s some resolution! And I, when I came to you, brothers, did not come proclaiming to you the testimony of God with lofty speech or wisdom. For I decided to know nothing among you except Jesus Christ and him crucified. And I was with you in weakness and in fear and much trembling, (1 Corinthians 2:1-3). 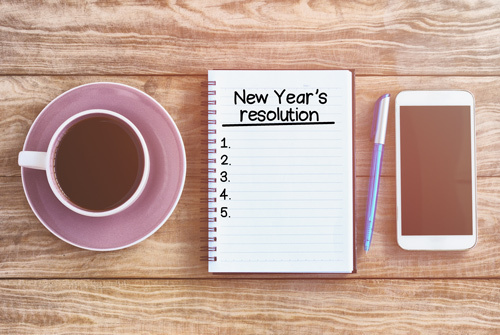 There is an abundance of resources available through the LWML and other LCMS organizations to help you find ideas for your resolutions. Some are categorized below. Perhaps begin your new year by selecting a different resource to review from each category. Gather your LWML sisters together and start the New Year with this LWML Bible study on Resolutions. Read the stories on the I Love to Tell the Story page, and then resolve to write a story of your own! Review the Paint the Planet Purple page to see what other groups are up to and then let the Gospel Outreach committee know what your group is up to! Check out other opportunities for service by browsing the list of Gospel Outreach Resources outside of the LWML. Here you’ll find links to LCMS ministries (for example, the Lutheran Hour and the Lutheran Heritage Foundation) and LCMS recognized service organizations (RSO) (for example, Lutheran Bible Translators). Subscribe to the LWML Blog. Put the LWML App on your phone or tablet. Stay in touch with LWML social media outlets such as Facebook, Twitter, YouTube, Pinterest, and Instagram. Subscribe to the Lutheran Reporter and get the latest news plus movie reviews and upcoming events. 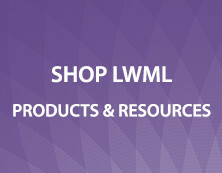 Visit the LWML (LWML.org) and LCMS (LCMS.org) web sites at least once a month. Visit your district LWML (list here) and LCMS (list here) web sites at least once a month. 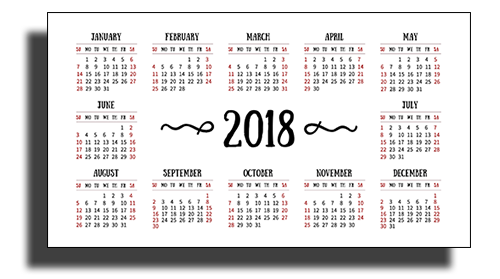 Create a “year at a glance” calendar for your group which shows monthly deadlines, events, and opportunities for mission service. Be sure to get those on your congregational calendar as well so they appear in announcements, etc. Review the LWML Leader Development resources available for help with mentoring, leader training, and event planning. Organize a home-based Christian book club. You can start your reading list with some offerings from Concordia Publishing House. Suggestions include Loving Isaac by Heather Kaufman and the Anthems of Zion series by Katie Schuermann. Challenge your group to tackle a new mission service activity each quarter (or month!). You can review current and archived monthly activity suggestions HERE. Come now, you who say, “Today or tomorrow we will go into such and such a town and spend a year there and trade and make a profit”— yet you do not know what tomorrow will bring. What is your life? For you are a mist that appears for a little time and then vanishes (James 4:13-14). Dear Father in Heaven, as we once again come to the end of one year and look toward the beginning of another, remind us that our plans are not always Your plans. Help us remember to always look to You for guidance. Help us to seek Your wisdom whenever we are making plans. Please Father, help us to know Your will and to pursue only what is pleasing to you. And, more than anything, Dear Father, help us to focus on our eternal life and to help others realize the same hope that we have in Your saving grace. In Jesus precious name we pray. Amen. The Gospel Outreach Committee would love to hear what you resolved for 2019! Please contact us through the LWML email at depgo@lwml.org. Thank you!